Our Saturdays are filled now with T-ball and TCU football. Gotta love fall! 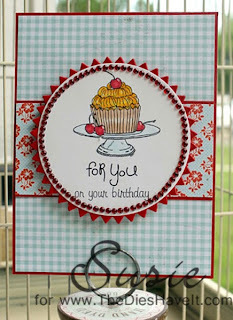 My card today is sweet digital image colored with Copic markers with some Stickles on the cherries. I added bling from Eyelet Outlet all around my focal point circle. 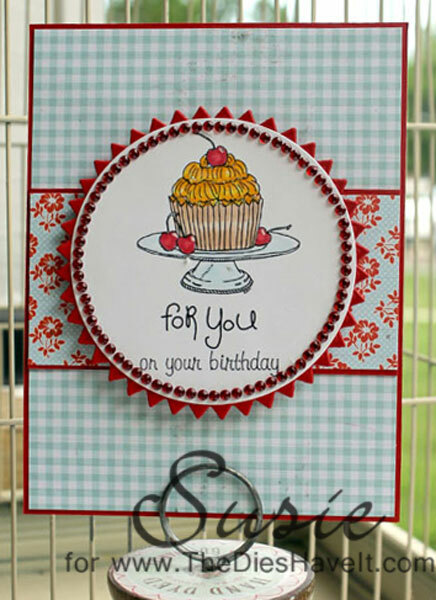 The bling is in strips already, so it is super easy to add in any shape - even a circle!